Blue Ridge, Ga. – Life and career skills are something that all youth need when moving into adulthood, and thanks to a new innovative program some of the youth of Fannin County will have an opportunity to have a jump start on these skills as they work their way through high school. 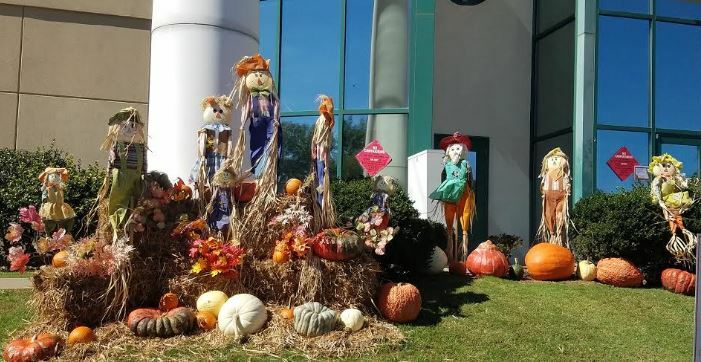 Executive Director of the Development Authority, Christie Gribble, unveiled a new program aimed at garnering knowledge of real world situations and providing high school age children with an in-depth look at our local community. 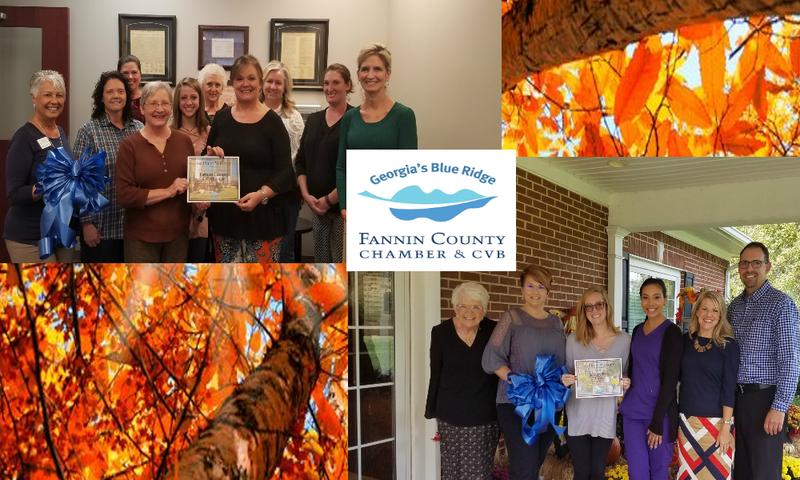 Leadership Fannin is an annual program hosted by the Fannin County Chamber of Commerce in which community members are nominated to participate in. Each yearly group is exposed to an indepth look at Fannin County through site visits and speakers on a variety of topics. Gribble’s youth program dubbed the Fannin Youth Initiative (FYI), will be based on the Leadership Fannin program but geared toward a younger audience. Executive Director Christie Gribble tells the Board of Commissioners about the new Fannin Youth Initiative. Students at Fannin County High School, grades 10 and 11, are eligible to apply. In its inaugural year FYI had 13 applicants. 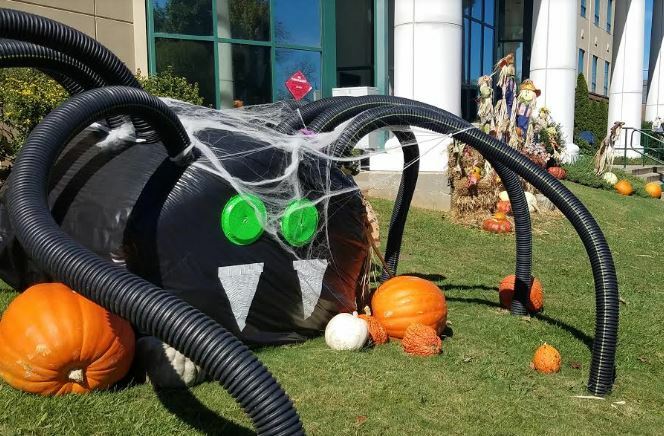 The program itself is a partnership between the Fannin County School System, the Chamber of Commerce, the Development Authority, and a network of volunteers. Students will be paired with a mentor for guidance and will get firsthand knowledge of economic development, entrepreneurship, small business, and tourism in our community. Beyond being able to get out and meet with local workers, students will also be shown a variety of life skills needed to function as adults. Participants will also get a firsthand look into state government with a trip to the Georgia State Capitol building. The program is set to begin Jan. 25 and run through April or May of this year. If all goes well with the inaugural “test run” of FYI, both the school and partnerships are open to expansion and possibly offering the program twice a year. Congratulations to these two companies for the win! 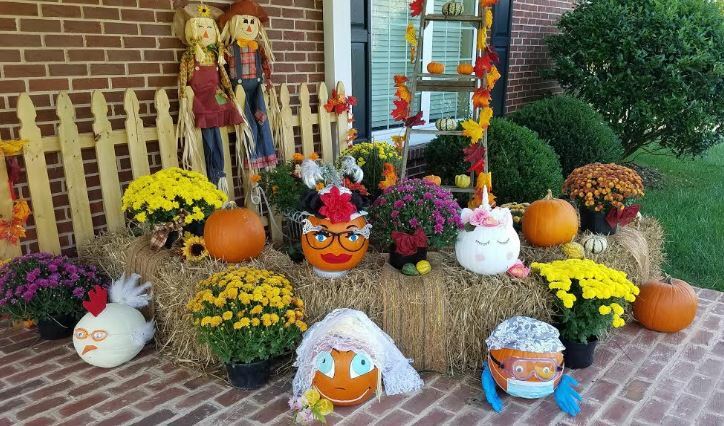 Enjoy the photos of their decorations below. Fannin County Courthouse Pictured above and below. 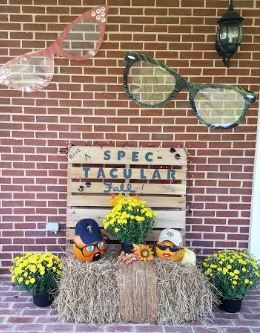 « Previous Article Fannin County HS Marching Band Bring Home Superior Ratings Again!!! BLUE RIDGE, Ga. – Fannin County honored its special athletes today, and officially proclaimed both in the City of Blue Ridge and in Fannin County that the week of May 16, 2018 be Special Olympics Week. Mayor Donna Whitener signs proclamation declaring Special Olympics Week for the City of Blue Ridge. Crowds gathered shortly before 10:30 a.m. this morning in the free parking area of downtown Blue Ridge. Among those present were Special Olympic supporters, teachers, proud parents, Blue Ridge and Fannin County law enforcement and emergency personnel, representatives from Fannin County’s educational system, and of course, the athletes. This year marks a very special anniversary for the olympics. Having begun in 1968, the Special Olympics celebrates its 50th year. 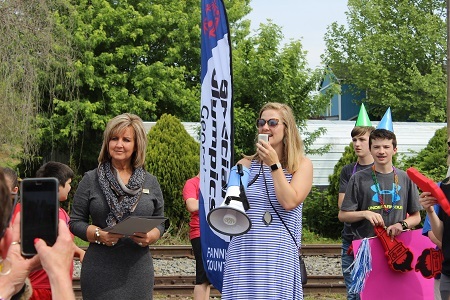 Blue Ridge Mayor Donna Whitener was present to kick off festivities as she announced that the City of Blue Ridge was officially acknowledging this week as Special Olympics Week and delivered a proclamation stating such from the city. 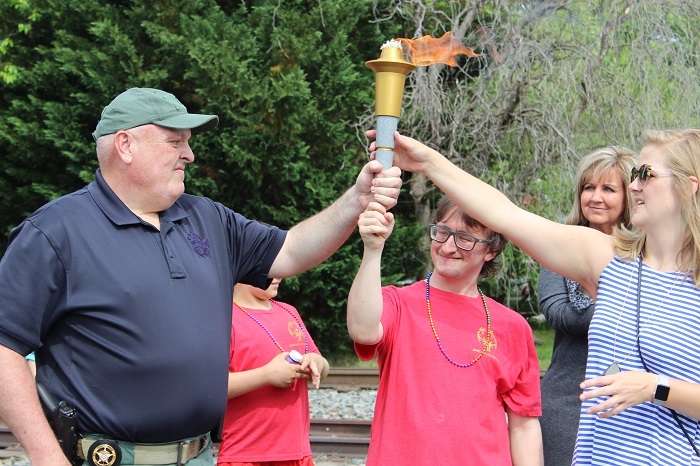 A lighting of the ceremonial torch set activities in motion, and the athletes were cheered on as they made their way up East Main Street to the Fannin County Courthouse participating in the Fannin County Torch Relay. Chairman Stan Helton signs proclamation for Special Olympics Week in Fannin County. The celebration continued at the courthouse where the procession was greeted by Fannin County Chairman Stan Helton. 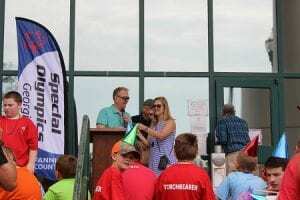 Helton announced to the crowd that Fannin County too would like to recognize this week as Special Olympics Week and signed an official proclamation as well. The Special Olympics will take place tomorrow, May 16, at Fannin County Middle School (FCMS). The opening ceremony will be at 9 a.m. in the FCMS gym. Elementary athletes and Mineral Springs athletes will compete from 9 a.m. – 11 a.m.
Middle and High School athletes will compete from 11:30 a.m. – 1:30 p.m.
BLUE RIDGE, Ga. – According to the official website for the Fannin County School System, all county schools are closed today due to inclement weather that began in the early morning hours Friday, Dec. 8, and is expected to continue throughout the day and evening. 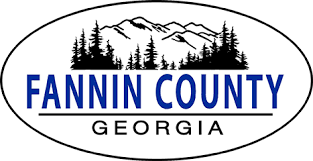 Also, the Fannin County Tax Commissioners office will close early Friday at noon, followed by the the closing of the entire Fannin County Courthouse at 3 p.m. 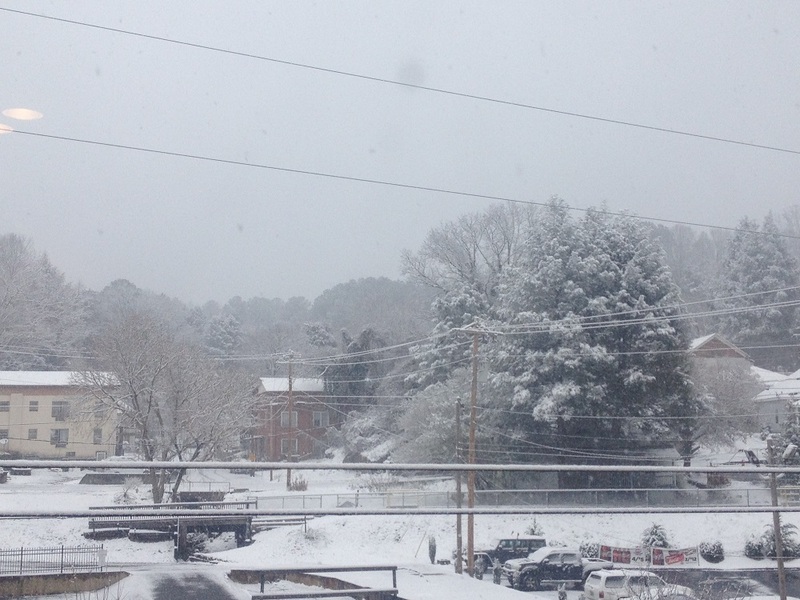 The National Weather Service has issued a Winter Storm Warning for Fannin and surrounding counties until 7 a.m. Saturday. Continue to follow FetchYourNews for more weather updates, closings and stories surrounding this weekend’s winter weather. July 11, 2017 5:15 p.m.
Approve minutes of June 27, 2017. Do not misconstrue this as a question and answer session with the board. Limit 3 minutes per person. Please state name and address before comments. All comments should be addressed to the Chairman. 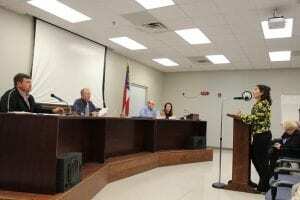 The Fannin County Board of Commissioners meetings are held every second and fourth Tuesday at 6:00 p.m. in the Jury Assembly Room – Third Floor of the Fannin County Courthouse. « Previous Article Short Take - How Near Does Anarchy Loom?